The CSO musicians deserve a labor agreement that protects and attracts the talent that has earned it the right to be called the "nation's best" orchestra and one of the greatest in the world. As Maestro Muti and others point out, the CSO maintains its position in the nation and the world because of its musicians, who are drawn from across the globe – as are our patrons. 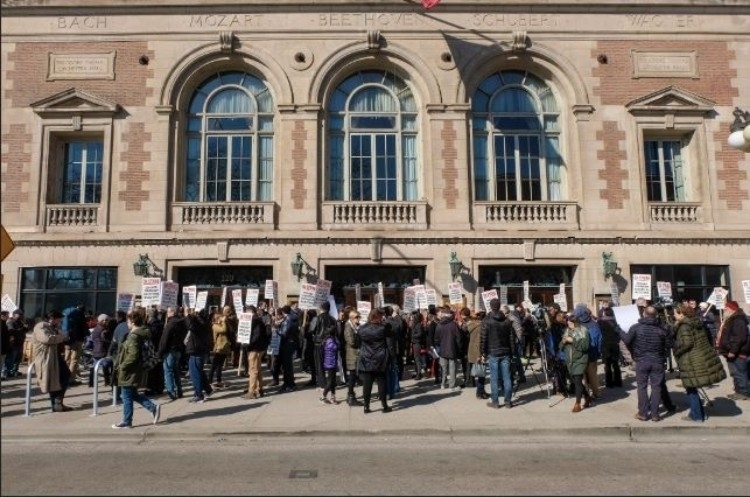 Today, however, the ability to continue to attract the best and the future of the Orchestra itself are threatened by the actions of the CSO Association management. We the undersigned support the Musicians in their strike to protect what is truly the heart of the CSO. We believe the Musicians of the CSO deserve a fair and competitive contract with the compensation and retirement benefits that are commensurate with being the nation's best orchestra and one that will ensure its excellence and sustainability well into the future. The We Support the Musicians of the CSO petition to Chicago Symphony Orchestra Association was written by MK Comms and is in the category Culture at GoPetition.